Gabrielle strongly believes that treatment is most effective when the therapist and child’s family work together to formulate therapy goals using the child’s occupations (interests and/or motivators) as a means towards achieving those goals. Through the use of their hands, ​children​ are energized by mind and will, ​an​​d ​can influence the state of their own development. Together we work and play towards meaningful goals, taking pride and ownership in our accomplishments. With a passion for movement she has a long history of getting kids moving in the city through years of coaching high school volleyball and teaching elementary physical education. While teaching physical education Aimee became curious about how she could better serve the school’s special needs community through movement. Aimee worked as an Applied Behavior Analysis therapist with children in the Bay Area specializing in ABA therapy with children who have Autism Spectrum Disorder. She has worked with children of various diagnoses in the classroom, at home and in social group settings. Aimee enjoys working with kids of all ages and believes that purposeful play, movement and activity can help children to be happy and successful in what they do. Currently Aimee works as an Occupational Therapy Aide at Little Hands while pursuing her degree in OT. Aimee has a Bachelors of Science in kinesiology from San Francisco State University. Bryant is a bilingual licensed occupational therapist with a passion for pediatrics preceding OT school. His background includes working with children with various developmental delays and conditions, but he has had the most experience working with children and young adults with autism. As a workshop mentor at Autistry, Bryant has assisted bright, young individuals in self-directed projects to hone their skills in fine and gross motor areas, task sequencing, self-regulation, and building self-esteem through “project-based therapy”. 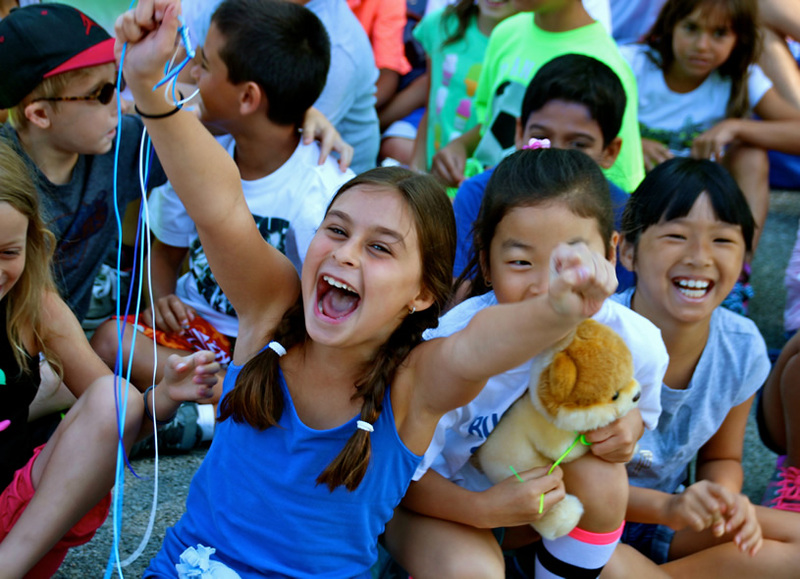 At the ANOVA Education campus in San Rafael, he assessed for functional deficit areas, identified goals, developed treatment plans, implemented child-centered interventions, and collaborated with parents and teachers on a daily basis. In his practice as an occupational therapist, Bryant stresses the importance of the therapist-client relationship and believes that interventions should be client-centered and goal driven. He believes that therapists working with pediatric populations possess a special, unique role in that they are able to intervene at such an early age and truly make a difference in the growth and development of a child, paving the way for success and participation in meaningful occupations for years to come. Bryant received his Master of Science in Occupational Therapy from Dominican University of California. He also holds a Bachelor of Arts in Psychology from California State University, Fullerton. Caitlin has worked in a variety of pediatric settings, including public school districts, in-home early intervention, and private clinics around the Bay Area. Caitlin’s clinical strengths include pragmatics/social skills, early language development, articulation and phonology, preschool and school-age receptive and expressive language delays, cognitive communication, and literacy skills. Other areas of practice include Childhood Apraxia of Speech (CAS), fluency disorders, oral-motor deficits, and central auditory processing disorders (CAPD). She has participated in the Talk Tools: A Three-Part Treatment Plan for Oral Placement Therapy workshop, in addition to completing numerous courses focused on the pediatric population. Caitlin enjoys working with children of all ages and skill levels. She believes in an individualized approach for each child, and thrives off of maximizing communicative growth. She is collaborative by nature and looks forward to working closely with families and team members in order to further support each child’s development. Caitlin graduated from San Diego State University (SDSU) with a Bachelor’s degree in Speech and Hearing Sciences, followed by her Master’s Degree in Speech-Language Pathology. Cierra has experience in several pediatric and adult settings with clients ranging from preschool to geriatric populations. Settings have included a vast range of abilities and cultures in the public and nonpublic schools, workplace readiness sites, private practice and home health across the Bay Area, San Diego and Hawaii. Cierra has participated in the Picture Exchange Communication System (PECS) workshop, as well as multiple seminars and continuing education classes focused on pediatric populations. Cierra’s clinical strengths include augmentative and alternative communication, preschool to school age receptive and expressive language delays, literacy skills as well as phonology and articulation disorders. Other areas of practice include cognition, Selective Mutism, fluency disorders, pragmatic language and Childhood Apraxia of Speech (CAS). Cierra adores working and laughing with children while focusing on functional skills to maximize generalization and benefits of therapy. With a personal family connection, Cierra truly understands the importance of family-clinician relationships and collaboration across disciplines and environments. Cierra graduated from San Diego State University (SDSU) with a Bachelor’s degree in Speech, Language and Hearing Sciences, followed by her Master’s Degree in Speech-Language Pathology. Janie is a licensed occupational therapist who always knew she wanted to work in pediatrics. Her background includes working with children both school-based and outpatient settings. She has worked with a variety of diagnoses including (but not limited to): cerebral palsy, autism, ADHD, intellectual disabilities, speech and language impairments, deaf and hard of hearing, emotional disturbance and anxiety disorders, global developmental delay, visual and motor impairments, fine motor coordination difficulties and sensory processing disorders. Janie loves working with the pediatric population and is passionate about providing occupational therapy services that are holistic and looks at the whole child. She believes in using the child’s unique strengths to help maximize function and independence to live life to the fullest. She believes that therapy should be child-led, play-based and fun to support the child to live happy and full lives. Janie completed her Master’s degree in Occupational therapy at the Dominican University of California. She received her Bachelor’s degree in Liberal Studies from California State University, Northridge. Jackie’s background includes working with children in both outpatient and school settings, addressing sensory processing and sensory integration, reflex integration, fine motor delays, social skills, emotional and self-regulation, handwriting skills, visual-motor skills, and activities of daily living skills such as dressing, eating, and self-care skills. Jackie is experienced in working with children with Sensory Processing Disorder, global developmental delays, Autism Spectrum Disorders, ADHD, anxiety disorders, social phobias, intellectual disabilities, executive functioning challenges, and Down syndrome. Jackie has advanced training in Sensory Integration and Sensory Processing Disorders, having completed the University of Southern California Continuing Education Certificate in Sensory Integration program, as well as being an Advanced Mentored Clinician through the STAR Institute for Sensory Processing Disorder. Jackie believes that all children have unique gifts and abilities and sees her job as an occupational therapist as a help agent to support children in discovering and embracing these gifts in their own unique ways and in flourishing into their greatest potential. As a practitioner of occupational therapy Jackie believes in the therapy of action. Through holistic, family-centered interventions Jackie strives to improve overall quality of life by addressing challenges that affect family relationships, play, friendship, self-perception, independence, and school-related abilities. She is especially passionate about supporting children in their connection to the natural world and to their own innate sense of knowing what best meets their needs. By providing fun, creative, and exciting interventions that challenge each child to adapt, excel, and enjoy all areas of their lives, Jackie hopes to support both the areas of strength and the areas in need of support in all children she works with. Jackie brings her 16 years of experience as a mother of two boys to her practice. Jackie received her Master’s degree in Occupational Therapy from Dominican University of California. She received her Bachelor’s degree in Anthropology from the University of California at Berkeley. Katarina is a bilingual licensed occupational therapist currently working for the public school district, San Francisco Unified. She has experience providing therapy to pediatric populations in both private clinics and school systems. She has treated children diagnosed with autism, down syndrome, intellectual disabilities, developmental delay, Cerebral Palsy, sensory processing disorders, ADHD, visual impairments, and fine motor coordination deficits.She takes pride in collaborating with children and their families to provide quality therapy by implementing innovative activities to help facilitate learning and promote development. Katarina attended Florida International University (FIU) where she graduated with a Bachelor of Arts degree in Psychology and a Master of Science degree in Occupational Therapy. A Marin County native, Katharine’s experience in pediatrics preceded her attendance of occupational therapy school as she worked in home-based and school settings providing applied behavioral analysis to children diagnosed with Autism Spectrum Disorder. Katharine was also the president of her school’s occupational therapy association and provided pro bono after school occupational therapy services to children who attended the Grove Park school district in Atlanta, GA. Now a licensed occupational therapist, Katharine takes her prior experiences and passion for sensory processing to provide outpatient and school-based pediatric occupational therapy services to children with a wide array of diagnoses including (but not limited to): ADHD, anxiety disorders, sensory processing disorders, selective mutism, global developmental delays, Down syndrome, intellectual disabilities, Cerebral Palsy and coordination disorders. Katharine is a firm believer that learning occurs best when activities are play-based and child-directed in nature. Katharine believes that the therapy process should always be a fun and safe space to practice the skills needed for continued success in school and throughout life. Katharine received her Master of Science in Occupational Therapy from Brenau University located in Georgia. Her Bachelor of Arts in Psychology was obtained from the University of San Francisco. Kellie’s background includes providing occupational therapy interventions in different practice settings for children with varied disabilities and developmental delays. She is experienced in addressing fine motor delays, visual perceptual skills, handwriting skills, social skills, visual-motor skills, sensory processing skills, and activities of daily living, such as dressing and self-feeding. Kellie maintains a holistic perspective when working with each child and directs her treatment sessions to meet the interests of the child while facilitating a successful environment for children to develop their skills and independence. She has participated in the Sequential Oral Motor Approach to Feeding (SOS) workshop by Dr. Kay Toomey, PhD in addition to completing numerous courses focused on the pediatric population. She enjoys working with children of all skill levels and ages and believes in child and family centered therapy to support each child’s unique needs to support occupational engagement at home, school, and in the community. Kellie has attended the SOS Approach to Feeding course presented by Kay Toomey, PhD. and Erin Ross, PhD. CCC-SLP. In addition she has attended advanced course training in SOS as it relates to using the SOS Approach when working with children aged 6 years and older. Kellie graduated from Samuel Merritt University where she received her Master’s Degree in Occupational Therapy. Monica is very excited to join the team at Little Hands to provide a collaborative team approach to each child’s therapy. Through working in direct collaboration with Speech and OT services at Little Hands, children can benefit from having extra guidance in the fundamental skill of reading in a safe, kind, and familiar environment while continuing to work on their OT and Speech goals. She is looking forward to meeting you and your child! Monica received her MA in Teaching Reading and Certificate in Teaching K-12 Reading from the University of San Francisco. Tope has worked with children of all ages in a variety of settings including hospitals, schools, camps, and non-profit organizations over the last several years. She currently holds a position as a pediatric clinic dietitian at Lucile Packard Children’s Hospital at Stanford, working with neonates, children, and adolescents who have a broad range of medical diagnoses and conditions as well as differing nutrition needs. Tope believes in a holistic, practical, and evidence-based approach when it comes to nutrition. She believes each child has his/her own unique nutrition requirements for growth and development, and she tailors the nutrition plan provided to meet those needs. Master’s degree in Public Health, Graduate Certificate Nutrition and Dietetics, Dietetic Internship, and Bachelor’s Degree in Dietetics all from San Francisco State University; Bachelor’s Degree in Biochemistry from Case Western Reserve University. Whitney has worked with children in school-based, home-based, medical, and outpatient settings. Her experience spans physical and developmental diagnoses, including: cerebral palsy, ataxia, seizure disorders, postural disorders, Erb’s Palsy, Down Syndrome, autism spectrum disorders, ADHD, sensory processing challenges, visual motor and perceptual difficulties, and developmental delays. Whitney is motivated to help children of all ages experience playfulness and joy while developing new skills, cultivating self-confidence and connecting to others. Ultimately, she strives to improve overall quality of life by addressing daily challenges that affect family relationships, friendships, play, school-related tasks, and independence in self-care. Her background as a nanny has provided a strong foundation in identifying the contextual demands of each child’s daily environments. Whitney is committed to providing family-centered care featuring consistent collaboration and communication. She has advanced training in Integrated Listening Systems Therapy and is trained in the use of Interactive Metronome, Handwriting Without Tears, Brain Gym, mindfulness training, yoga therapy and sensory integration techniques. Whitney completed her Master’s degree in Occupational Therapy at California State University, Dominguez Hills. She received a Bachelor’s degree in Anthropology from Santa Clara University.